If you are half as excited for Darksiders III as I am, you’d likely be itching to replay the original titles ready for the next chapter – and if you own an Xbox One, you will soon be able to experience the apocalypse in eye-blistering 4k resolution. Gamers who have pre-ordered the Darksiders III: Blades & Whip Edition from the Microsoft Store will be able to download and play the enhanced Darksiders: Warmastered Edition as of today. 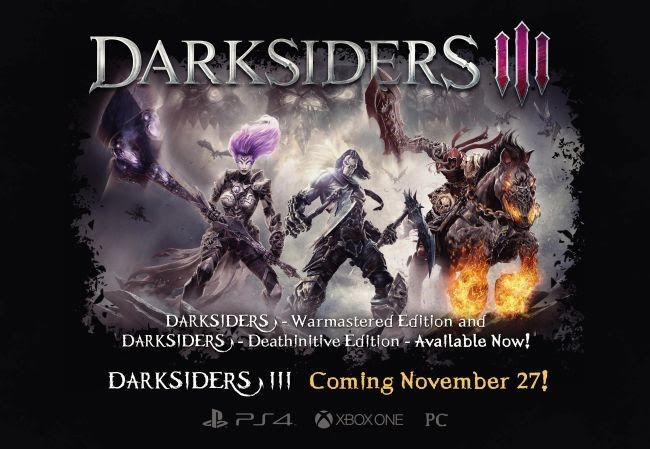 This will be followed up by a release of an enhanced version of Darksiders II: Deathinitive Edition, sporting the same 4k sexiness you can tuck into while you wait for Darksiders III to drop later this month. It’s been 6 long years waiting for the next chapter of Armageddon, so you may as well spend a little time re-experiencing the end of the world before our girl Fury turns up – and what better way than in ultra high definition! What Direction Should A New TimeSplitters Take?